Premium Hardwood Heating Fuel Pellets is Our ONLY Business. It is What We Do and it is the ONLY Thing We Do. We Concentrate On This One Thing So We Can Do It Better Than Any Others. And We Have Succeeded with a Proud Heritage of Excellence and Customer Care. 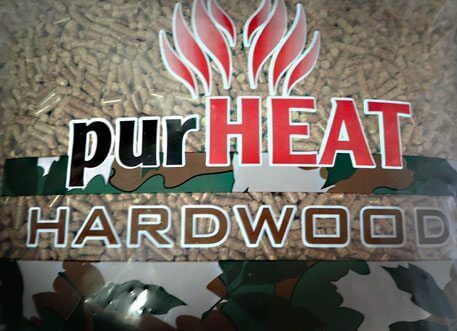 We know that PURHEAT must provide the very best hardwood wood pellet fuel available, in order to continue to acquire a growing number of customers, both individual consumers and store sales. Our customers have always been our most reliable means for getting new customers. Over the long term, they’re the best proof of the excellence of our product. First, we source the finest 100% bark-free hardwoods such as Red Oak, White Oak, Hickory, Ash, and Hard Maple. 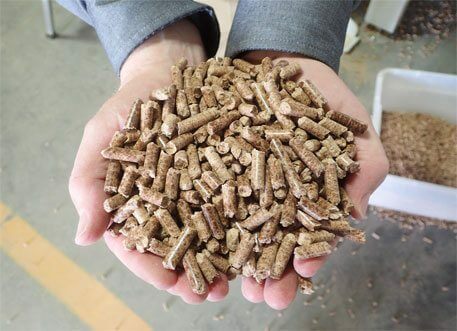 Our wood pellets are made in the U.S.A. from this high quality sawdust to the strict standards set by the Pellet Fuels Institute and to assure you we provide only PFI graded pellet fuel. PurHeat’s own third-party quality control laboratory results show PurHeat pellets produce less than 0.06% ash, a huge benefit for wood stove users. No binders are used in the production of PurHeat pellets, so they are completely and totally natural — made using only 100% natural hardwood sawdust. Using only the best quality hardwood sawdust assures the highest consistent BTU output, resulting in PurHeat pellets being the hottest burning, longest lasting and cleanest burning hardwood pellet on the market today. You benefit by saving money when you use PurHeat wood pellets since you need to purchase much fewer wood pellets to achieve the heat you want. At PurHeat, We Are Constantly Striving to Improve Our Environment, So We Can Give-Back to Future Generations.